Attukal Bhagavathy Temple is one of the ancient and most powerful Hindu temples in Kerala, India. The main deity of the temple is the goddess Bhadrakali. The temple is known as “Sabarimala of the Women”, as only women are allowed into the temple. Anyone visiting the Attukal temple is first struck by the beauty and charm of the temple architecture. The temple structure is a harmonious conglomeration of both Kerala and Tamil styles of architecture. The beautifully carved figures of Mahishasuramarddini, Goddess Kali, Rajarajeswari, Sree Parvathy with Lord Paramasiva and various other depictions of the Goddess in and around the temple are undoubtedly the work of a gifted artist. Equally well presented around the corridors surrounding the temple, are the depiction of various other Gods and the epic stories of the ten incarnations of Lord Vishnu viz., the “Desavathara”. On either side of the elegant front gopura – are the icons based on the story of Goddess Kannaki. On the southern Gopura, the puranic story of “Dakshayaga” is depicted in sculptures. 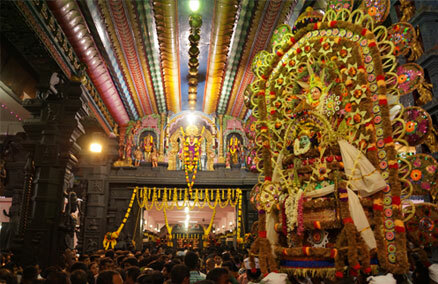 The decorated gate at the entrance of the temple is by itself an excellent example of architectural beauty. There are two idols of the Goddess in the sanctum sanctorum. The original idol is preserved in all its pristine beauty covered in ornamental gold embedded with installed stones. The second idol of the Goddess is installed besides the original one. Within the temple corridors are also installed carvings and sculptures of Lord Ganesan, the serpent God and Lord Shiva. 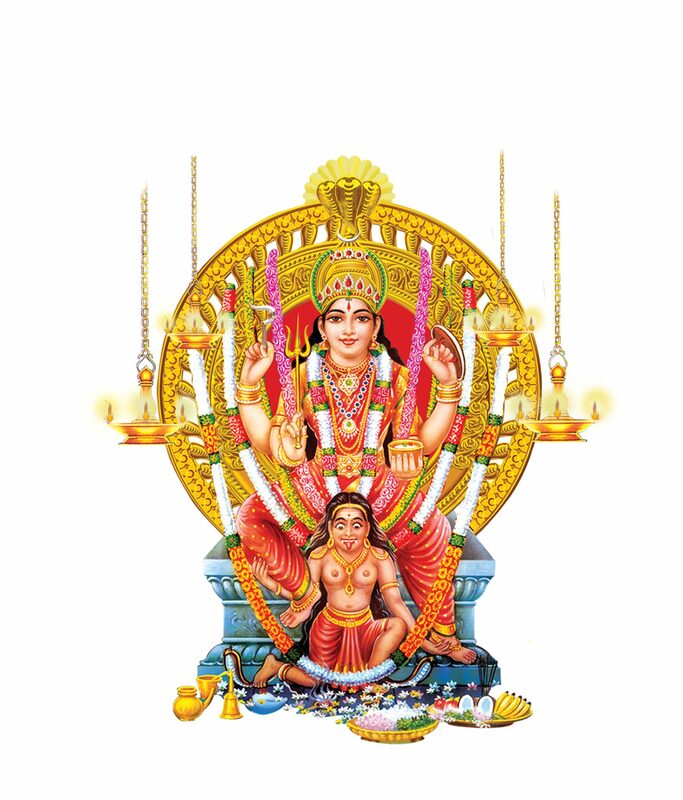 At the centre of the Sanctum within the Sreekovil, at a consecrated spot is installed the idol of the Goddess Attukal Bhagavathy emanating light and lustre to all. 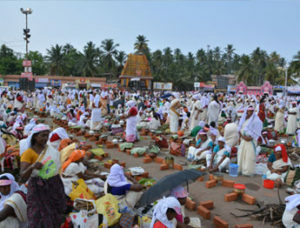 Pongala (Pongal) is most widely celebrated festival in this temple, more than 3 lakhs of women gather for the festival. The Pongala festival of the Temple is the largest women gathering festival in the world. This entered in the Guinness Book of World Records in 1997 and 2009 for participating 15 lakhs and 25 lakhs respectively.